Instead of spending your upcoming weekend cleaning the house and telling your kids that you have to stay inside because you need to clean, go out and have some fun. 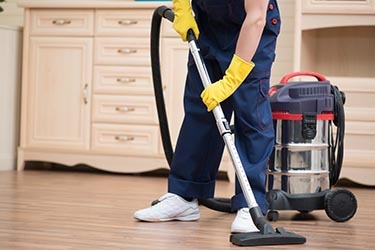 Maid Complete offers thorough residential cleanings for homes in Sacramento and we can come clean your home too! Our professionals are dedicated to completing the job in a timely manner and using chemicals that are safe for you, your home, your pets, and kids. Want to learn more about some of the activities we think you should check out? Consider these fun activities for the whole family below. If you are looking for a fun, outdoor activity that everyone will love, consider visiting Beach Lake Stables. You and the kids will have the opportunity to take a ride on horses, jump over small obstacles, and even learn how to do some tricks. In addition, you will be able to learn more about the horses, brush them, and pet them while you take in their grand beauty. If you have a car enthusiast or two in the family, we recommend that you visit the California Automobile Museum. Here, you can take a look at different engines and systems within an automobile. Many of the booths and exhibits have hands-on learning opportunities to get you involved. You and the kids can delve into the world of fun and make believe all right here in Sacramento. Fairytale Town is a great adventure that awaits you and allows you to create your own fairytale. No matter what your imagination has to offer up, it will fit right in! If you would like to have a quiet and relaxing afternoon where you and the kids can unwind, consider having a waterfront picnic at William Land Park. You can go for a swim in lake or simply take in the wildlife and beautiful green grass around you. The Scandia Family Fun Center is designed for all families. You can have a good day hitting some balls in the batting cages or you can see who has the best skills at miniature golf. Once you are done with the activities outside, you can head in for some arcade fun before you head home. If you want to enjoy a great day out in Sacramento, consider visiting any of these five places. You and the kids deserve to have a fun day out while our house cleaners stay back and handle business in your home. When you return, you will love seeing the sparkling floors and clean bathroom and kitchen. Give Maid Complete a call today to schedule a cleaning consultation with us.